Breastfeeding in Real Life: Doula Molly’s story. When I was pregnant with my first son, I had “planned” to breastfeed him. Though it wasn’t really a plan. It went more like this”I’ll try to breastfeed.” I was indifferent about it. It wasn’t a goal. It wasn’t the most important thing. It was just a thing that I was going to try. I didn’t read any books, or do any research. I looked at the pamphlets that my hospital gave out in the welcome packs. They said things like, “breast is best”, and “nutrients” “antibodies”. I was totally on board with this whole breastfeeding thing right? I mean I read the pamphlets what more could I do?! I didn’t know there was more I should do. I had my first son december 23, 2007. It was such a joyous time. I had just given birth and I was overwhelmed with emotions. I was also exhausted! After he was done being weighed and cleaned up the nurse brought him over to me swaddled in the hospital blanket and his knit blue hat to feed him. She showed me how to do the “football hold” and she sat next to me to help him latch. Nothing. We tried massaging (she called it massaging but it was more like playing the congas on my breasts) to help get some colostrum out to encourage him to latch. Nothing. After a few hours of trying and getting nowhere, they brought him a bottle of formula. This was all he had at the hospital. After that first time of trying, nobody came in to ask if I wanted more help, or offer me a breast pump. I didn’t know to ask for that help either. So that was that. After two days in the hospital we returned home I was feeling very engorged. My aunt come over, who happened to be a nurse, and luckily she thought to bring a breast pump. She asked if it was okay for her to show me how to use it, to which I reluctantly agreed. I was a hormonal wreck. I was tired and sore. I didn’t want to think about this, let alone deal with it! She set up the pump and helped me get comfortable. She turned it on and whoa, that was a weird feeling. I started to tense up so she began to encourage me, telling me that giving my baby breast milk was the best thing I could do for him, about how everything my baby would need would be in my milk. How it would boost his immune system, and how healthy it would be for him and how healthy it could make him. Before I knew it I looked down and had pumped 4 oz of breastmilk for my baby. I was amazed! My body had just made food for my baby! I wasn’t worried about him latching any longer. I could just pump my milk for him, how convenient. I was fine with this method, I didn’t have worry about trying to get him to latch! I had this whole new responsibility of keeping this human being alive! I pumped for him for about 8 weeks. Until I got the flu. Or what I thought was the flu. Really it was Mastisis. Mastisis is described as an infection in the breast tissue and usually comes with flu-like symptoms as well as red, hot tender spots on one or both breasts. I didn’t know what this was, I had never heard of it. I didn’t know that it could be caused from milk that isn’t removed regularly or well, or from an unnoticed clogged duct. I knew that I had the chills, and that my fever was 103 for three days straight. I know that my whole body ached. I thought I had the flu so I rested and tried to sleep it off. I wasn’t pumping because I was in so much pain. After three days of this and the fever starting to go down, I sat down to pump. I was so engorged from not pumping that I was too sore to pump! You see I wasn’t following my baby’s cues on when to feed because I was pumping. I made my own schedule. I just pumped when I felt like it. This is more than likely the culprit for my mastisits. I also didn’t know that you could nurse or pump through the flu, like I thought I was having. I didn’t know anything about breastfeeding, I didn’t prepare myself at all! 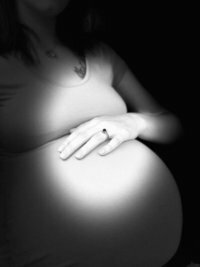 I stopped pumping for my baby because I didn’t really understand what was going on. I thought I would make him sick if I continued, so I stopped. My breastfeeding journey ended in pain, confusion, guilt and many many tears. I didn’t know that I needed to ask questions about this either. Four years later I became pregnant again. This time I wanted to breastfeed so badly. I took it upon myself to learn everything I could about it. I read books, and things on the internet. I wanted to familiarize myself with all things breastfeeding to enhance my success! To my surprise, my second son was born he latched immediately. We went on our nursing journey with very little issues. I went on to have two more sons, one I nursed for 18 months and one is still currently nursing at 7 months with plans to continue for a long time. I’ve grown to love nursing! Not just for all the health benefits for my baby, but also the bonding and to be honest, the convenience of it! Having your baby cuddled up to your body, nursing, and sighing and looking up at you is one of the best feelings. Your whole body responds when you are nursing! According to the book “The Womanly Art of Breastfeeding” there is a surge of hormones in your body every time you breastfeed that makes you feel loving and nurturing. These hormones are prolaction and oxytocin. These hormones also help you recover from the emotional and physical stress of birth. I can attest to this. After my first birth, I was very hormonal , cried very easily and was very tense and in pain. I did not experience this with any of my other births where my babies started nursing right away. Thanks to the hormones released by breastfeeding it can slow down the hormonal roller coaster and help fight against the development for postpartum depression. So what was the difference between my first breastfeeding journey compared to the last three? I can tell you without a doubt that it was knowledge and support. I knew nothing about breastfeeding my first go around, and you don’t know what you don’t know. If I had known that I needed to be pumping every two and half to three hours maybe I wouldn’t have got mastisis or maybe I would have got him to latch and had been able to breastfeed longer. So if you “plan” on breastfeeding, do just that and make a plan! Find out everything you can and also prepare yourself for hurdles. Because you will face hurdles! In Illinois 77.4% of moms breast feed ever, and 47% are still nursing at 6 months and even less at 12 months. ( according to the CDC). But the World Health Organization recommends exclusively breastfeeding for the first six months of life, and continuing after introducing solids for up two years or longer. Which leads me to support. Support is possibly even more important than knowledge. With my first I had a partner who didn’t really care whether I breastfeed or not. He was unenthusiastic about it. When I would talk about pain, or having to sit long periods of time to pump, his solution was to just quit. I was also a young mother at 20 years old. I was the first of my friends to have a baby so I had little support or knowledge from them. Aside from my aunt the nurse, I had no support. With the next time I had a partner (now husband) who understood why I wanted to breastfeed so badly. I explained to him how important it was to me and that I would most definitely need his support. I joined a breastfeeding facebook group online, which helped tremendously. To read other mom’s feeling and going through the same things with me in my journey was encouraging! So in honor national breastfeeding month, get yourself a plan, get yourself equipped with knowledge, and find your tribe for your support on your breastfeeding journey! 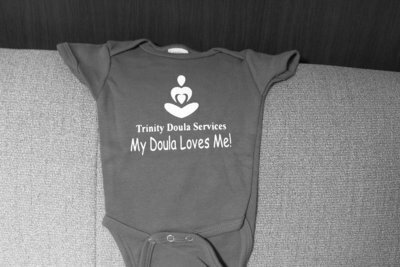 Trinity Doula Services offers Lactation Support – in your home or ours. We also have a Southern Illinois Milk Sharing group on facebook should you find yourself in need of donor milk or looking to donate milk to help other local moms and babies. « Tips for being induced.